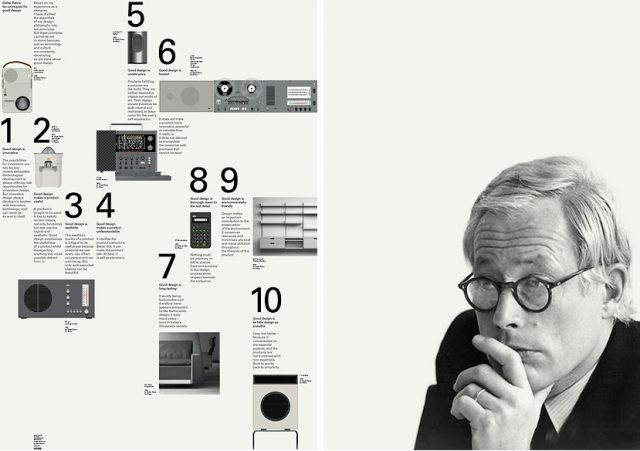 Dieter Rams brought Bauhaus influenced design to consumer products. His vision of how our devices should look and feel changed the marketplace, not to mention the world. In this interview Rams looks over his career then talks about the next big thing—the design of cities. Good Design . . .
Is environmentally friendly – Design makes an important contribution to the preservation of the environment. It conserves resources and minimizes physical andvisual pollution throughout the lifecycle of the product.